How does this 3DS role-playing game stack up? Japanese SRPGs are an extremely common sight on handheld consoles like the 3DS, and even more so from publisher Atlus. That's why imageepoch's Stella Glow feels so familiar. It takes several pages from well-read books littered throughout the genre, but still manages to weave a gripping, charming narrative that's worth plunging into, especially thanks to the whip-smart writing and hours of gameplay. Protagonist Alto is an amnesiac (par for the course) who's on a mission to rediscover his past, with young Lisette at his side. The daughter of the woman who raised Alto, Lisette is sprightly and likable, complementing Alto himself quite well. They're an admirable team, and the banter between them is genuinely entertaining. When the two are introduced to antagonist Hilda, a witch who enters the picture in a rather unorthodox manner, things progress very suddenly and ramp up into an exciting tale of good and bad witches, a young boy regaining insights into his past, and a classical tale with important thematic elements that you won't soon forget. Stella Glow utilizes its punchy dialogue, intelligent character design, and familiar character archetypes to create something wholly engaging, and in doing so earns a lot of points when it comes to breaking the more traditional SRPG mold. There's plenty of purpose when it comes to hitting the battlefield, and Stella Glow absolutely nails the strategy-RPG mechanics we've been seeing for years. It does convention right, with turn-based battles occurring on the battlefield (grid included) and takes these types of brawls seriously. Taking turns, changing the way your characters are facing for the next battle, and engaging in scuffles feel great, and while it's comfortable and familiar, it's also decidedly modern. What really takes the cake, however, is the addition of Song Magic, powerful spells that can turn the tides of battle in the blink of an eye. Aside from the throes of combat, the game being split into both Mission and Free Time is an excellent way to keep things fresh. 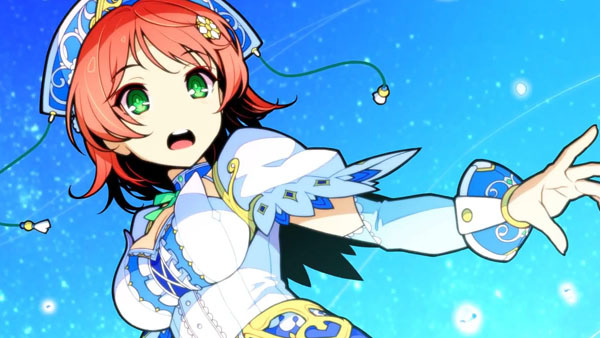 During Free Time you can go and spend time with the characters in Stella Glow like working at part-time jobs to earn cash as well as Witch Tuning, which is an exciting use of your time. Witch Tuning allows you to enter the hearts of your female party members to rid them of "demons." This can end up with new Song Magic for the characters as well as boons for the rest of the party. Not to mention Tuning is absolutely great-looking and surreal, extremely colorful affairs that practically beg you to come in and experience them again and again. Stella Glow doesn't reinvent the wheel, but when it does such a great job of ensuring the genre is respected, it doesn't need to. It's a fantastic offering from imageepoch and Atlus, and absolutely worth your time.